I've listed the major events of the recovery in chronological order here. However it's important to note that everyone's recovery rate varies, and this is by no means a fixed guideline. Day 0 Surgery Day, You will feel strongly the effects of Anesthesia, and sleep a lot. It is critical between now and day 3 to ice regularly to minimize swelling. If you've had upper jaw surgery, standing up will most likely result in nose pouring out of your nose. This will continue for the next 2 days. Whatever happens, do not blow your nose for the first few weeks. Day 3 Swelling will be at its worse, but the nose bleeds would have stopped. Start using saline nasal spray liberally. It helps clear out the dried blood in your nasal ways to help with breathing. Hot showers help too. Day 5 You will have some rough bowel movements. Lesson learned from this is to have prune juice with your meals from the start. Any exertion is extremely painful for your face. You will also start to regain some energy as the Anesthesia passes through your systems. Take the opportunity to walk around home a bit more. Light activity helps dissipate swelling, but nothing strenuous as that can cause hemorrhaging. Avoid crowded places to prevent anyone bumping into you. Day 7 (1 week) Your swelling would have noticeably improved, and you will feel some serious fluctuations of it throughout the day. Face will still be stiff and numb at most areas, but will start to feel better. You will be allowed to brush your teeth at this point as the sutures should have healed sufficiently by now. However you may notice that you cannot open your jaws more than half a finger's width apart. This is normal from the weakened jaw muscles, and should slowly resolve itself. Day 10 Antibiotics intake will stop around here. The numb areas of your face, specifically the chin, lower lips, and maybe parts of your upper lip, will start getting tingles like crazy. This is a symptom of your nerves healing themselves. This may keep you up at night! Use a warm compress and it should help ease the sensations a little. Day 19 Feeling will start returning to the lower chin and lips, if only at parts (for me it was only the left chin). Upper lip should mostly have feeling by now, with some partial numbness at the corners. The cheeks along the nose bridge should have regained partial feeling. Don't worry if you have not regained any feeling yet -- this process can take up to 3 months. You should also be able to drink out of a cup without a syringe at this point. If you haven't tried that, try it now. Day 28 At 4 weeks, you should look completely normal to most people, with parts of swelling that only you yourself will really notice. Energy level should be back to normal, and so should your appetite for solid foods -- hang in there. Day 31 (1 month) At 1 month, your surgeon will remove your splint. This is going to feel really weird in the beginning as you will be so used to having your teeth held apart. Keep in mind, your teeth will not align perfectly! That's what post-op orthodontics is for. Your speech will be more clear, though your facial muscles will still not completely cooperate with speech, and will take some warming up to control your lips again. You may also notice that you can open your jaws a little further than you could at day 7 as your muscles would have healed even more. Having the splint removed however does not mean solid food yet -- you will continue with liquid dieting for another 2 weeks. Day 42 At the 6 week mark, you will be advanced to soft solid foods! This however does not mean you can just eat like you used to. Chewing is going to be a foreign action. It will take much concentration and effort, and even conscious coordination of chewing and tongue movements. Jaws should be open about 1.5 - 2 fingers width apart at this point, just enough to scoop bite sized pieces of food with a spoon or fork. Ask your surgeon for jaw stretching exercises to help with opening the jaws wider. These should be performed daily. Day 49 (7 weeks) This is when I received notification to resume my normal life. I can run, bike, swim, hike, camp, drink, and EAT. I am still being careful of hard foods like peanuts, almonds, etc. I may actually just hold out until the full 3 months to be safe. How long did you take off of work? Glad to hear you were able to eat at 7 weeks. I am currently at 8 weeks and still on a liquid diet. Hopefully at my 10 week appointment I will be given the green light for soft foods. Click "Subscribe by email" on the bottom right to keep up to date on others' posts and responses. 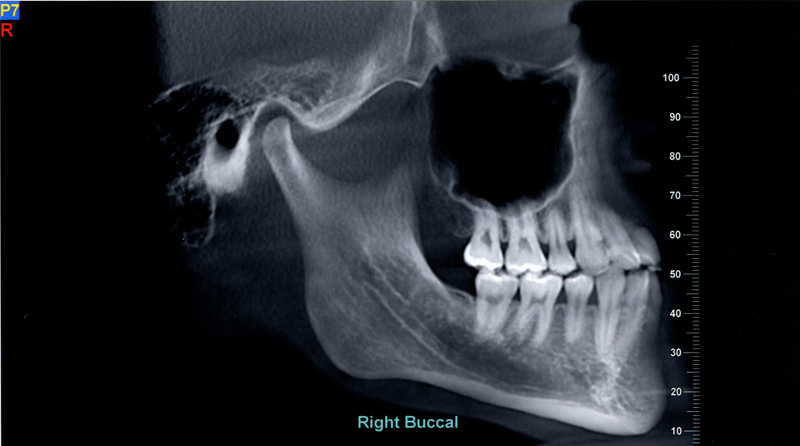 I'm a 26 year old male diagnosed with a rotated lower jaw due to an underdeveloped right mandible, leading to malocclusion. This means that my bite relation is inadequate; when I close my teeth, my right jaw joint is out of the socket, and when my right jaw joint is in the socket, my lower jaw is rotated to my right. My treatment includes a double jaw surgery involving the advancement of my upper jaw, shortening of my left mandible, and extension of my right, followed by any necessary additional procedures to even out my facial muscle balance. This is my journey. Day 46. Post Surgery Orthodontics Begins!